Apple and Stanford Medicine are launching a research study that uses the Apple Watch to identify irregular heart rhythms. Stanford will use the data collected from the study to examine how heart rate sensors and similar technologies can inform precision health. Apple has been rumored lately to be inching into healthcare, with some speculating the company will use the iPhone as a new electronic health record platform. In August, the company met with Aetna to discuss either giving Apple Watches to Aetna members or discounting the device for them. The insurer already makes Apple Watches available to its 50,000 employees for its corporate wellness program. This new heart study is the first of its kind, according to Apple, but not the first to use the Apple Watch to gather data. 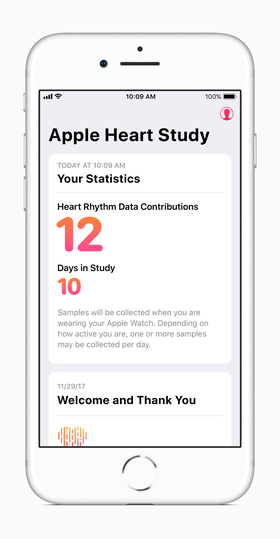 More than 500 researchers have used the company's ResearchKit and CareKit platforms for studies involving more than 3 million people. To participate in this new study, anyone over 22 years old with an Apple Watch Series 1 or later, regardless of geographic location, can download the Apple Heart Study app, which uses the watch's heart-rate sensor to measure heart rate. If the sensors record a rhythm that looks like atrial fibrillation, the app will send the user a notification. The user will also get a free consultation with a doctor. Those consultations will be provided by American Well on its telehealth platform. "This study is the first to bring connected care to clinical research, moving the cycle from the hospital to the home through a combination of wearables, analytics, telehealth and consumer devices," said Dr. Ido Schoenberg, chairman and CEO of American Well. The Apple Watch led the pack of wearables in heart rate accuracy, according to a 2017 study published in the Journal of Personalized Medicine. The Apple Watch had the lowest margin of error for measuring heart rate compared to the six other wearables the researchers looked at, including the Fitbit Surge and Samsung Gear S2. Apple may also benefit from other companies' work with its devices. 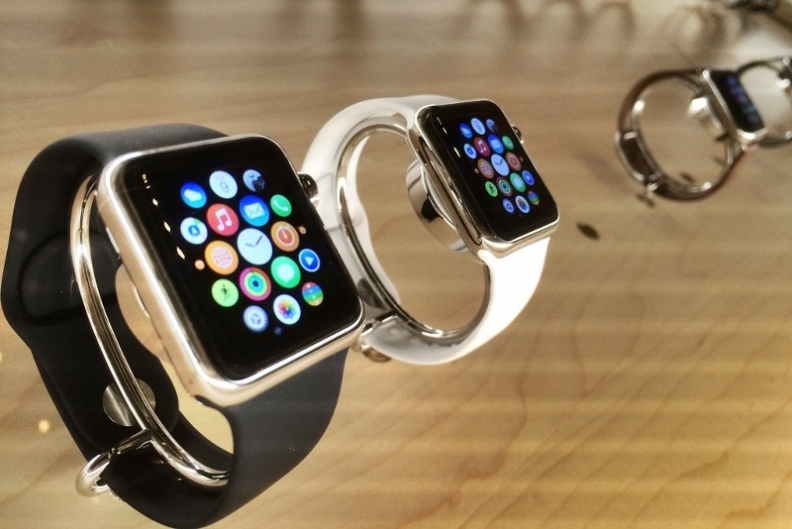 Thursday, the Food and Drug Administration approved the first Apple Watch accessory to be considered a medical device. AliveCor's KardiaBand EKG reader, a band for the Apple Watch, has a fingertip EKG sensor. Apple itself has said it's not interested in getting the Apple Watch itself FDA-approved, since that might slow development.